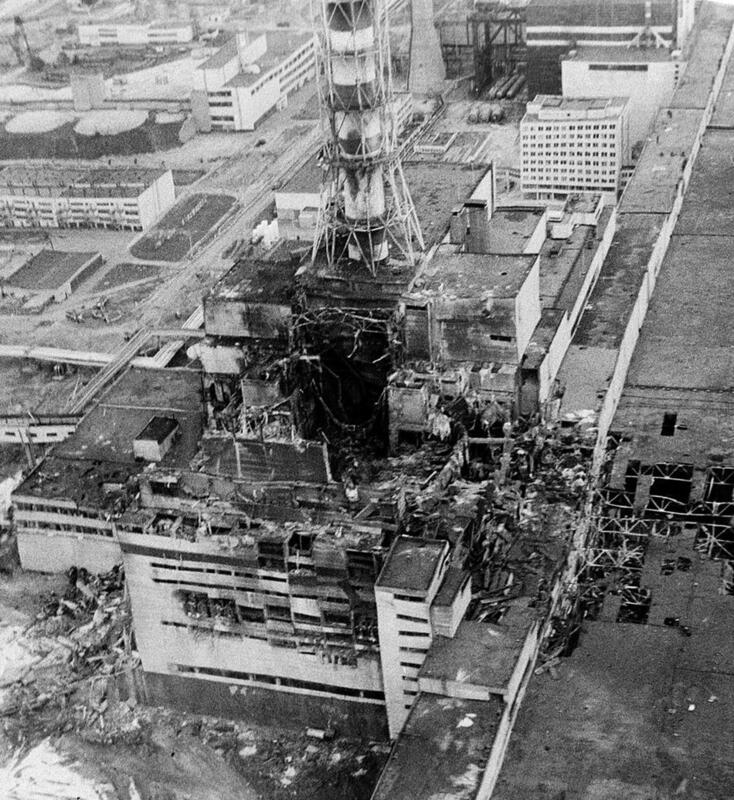 On April 26, 1986 an explosion and subsequent fire at the Chernobyl Nuclear Power Plant in Pripyat, USSR (Ukrainian Soviet Socialist Republic) caused the most severe nuclear disaster possible—a “Level 7” event. 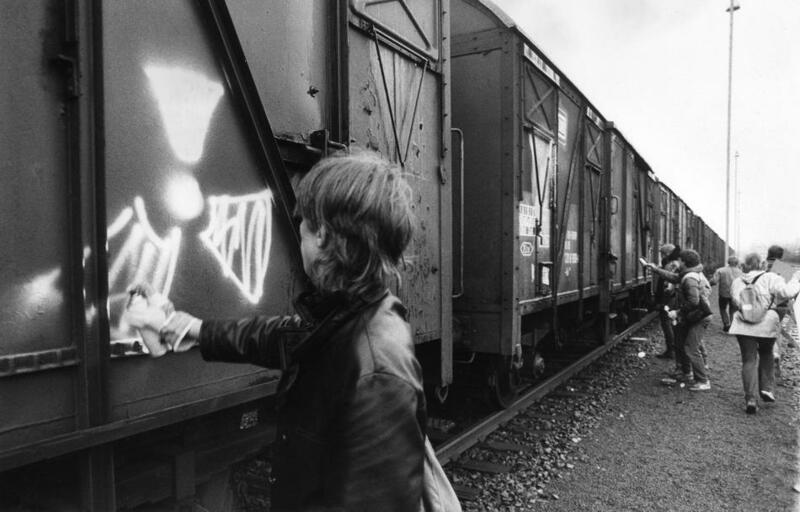 Radioactive material was jettisoned into the atmosphere poisoning the environment and sickening all living things over a shocking 150,000 square kilometers. The cause was arrogance and incompetence. An unexpected demand for power lowered Turbine 4’s output to unstable levels. There were two choices—force the reactor to handle everything with an immediate increase in power or reduce the load and wait 1 day. The lead engineer increased power. 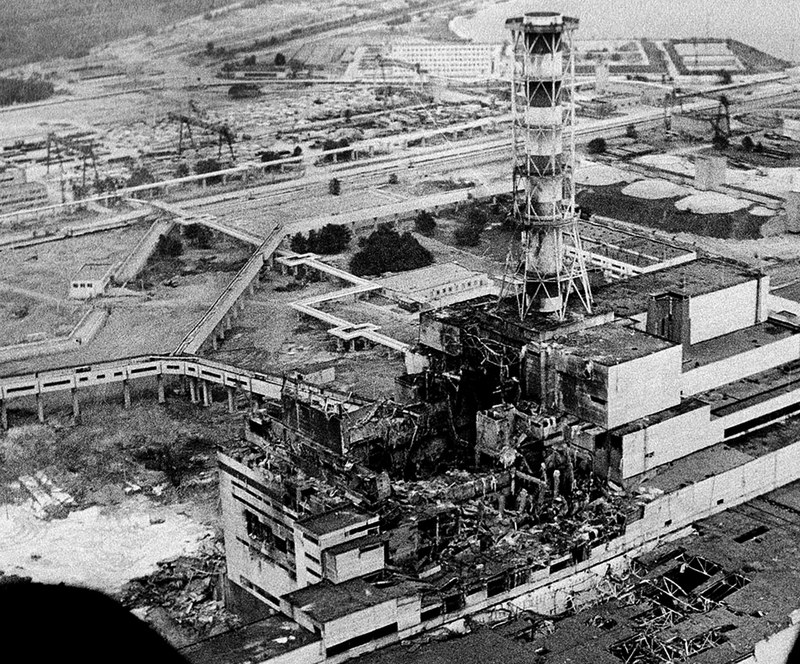 Safety systems were taken offline to facilitate this, including electrical supply to the reactor’s cooling water pumps as well as pulling control rods well below the safe minimum of 30 down to only 6. A power surge heated the reduced coolant water to steam. Operators pushed all 205 control rods into the super-heated water but there was a fatal flaw: the rods were tipped with graphite. The graphite increased the fission to runaway proportions and a massive chemical explosion took place sending 50 tons of explosive material skyward and 70 tons outward. The actual cost may never be known because poisoning the atmosphere and ecosystem has long-term effects that are difficult to trace. 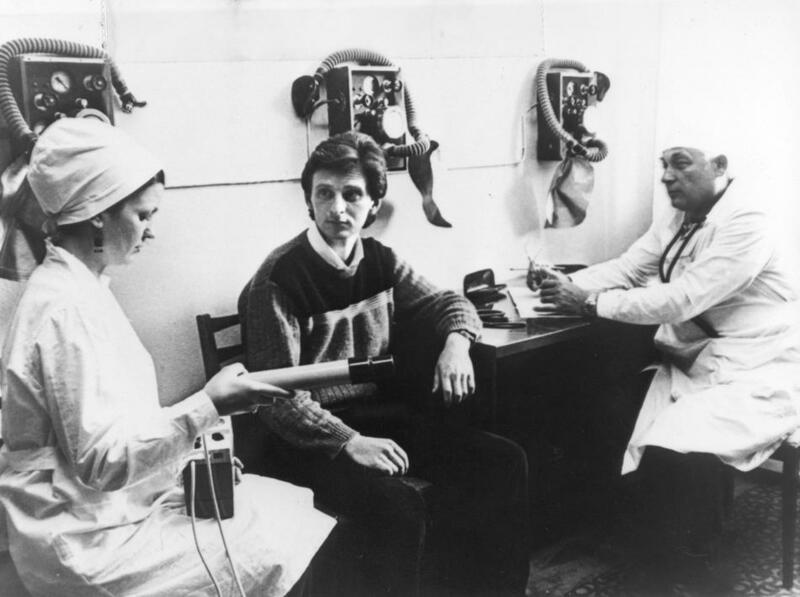 …science usually can’t say that a particular cancer was induced by radiation rather than something else. Since then, nuclear power safety has gotten better, but the purposeful efforts of power-lusting men have made that region far less safe. 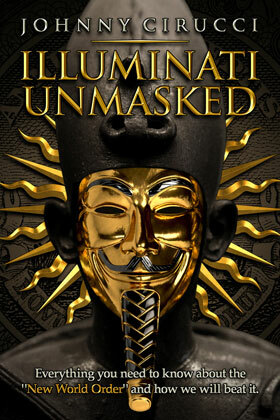 The vampiric Elite who have used their wealth and advantages to take charge around the world love conflict and hate you. War creates great opportunities for them to add to their already-too-full-coffers* while simultaneously decreasing the “surplus population” via the meatgrinder of battle. In a previous column I mapped out for you how the Bush family was intimately involved with the rise of Nazi Germany, as were many moneyed interests in America. As Prescott Bush was writing the checks for Adolf Hitler courtesy of “Brown Brothers Harriman & Co”, the actual machines of war were being built for the Nazis by rabid anti-Semites like Henry Ford and helped along with “American know-how” via General Motors. …American managers of both GM and Ford went along with the conversion of their German plants to military production at a time when U.S. government documents show they were still resisting calls by the Roosevelt administration to step up military production in their plants at home. And how would the death camps keep track of all those Jews that needed to be liquidated? —With an IBM, of course! One of the most brilliant, vicious and satanic scourges to ever be inflicted upon mankind was/is Communism. The death tolls at the hands of Joseph Stalin and Mao tse Dung, alone, far outshadow what Adolf Hitler did. The work of Professor Antony C. Sutton has shown in shocking detail how, here, too, the wealthy Elite were behind this scourge. 74 years later, those Elites were richer, hundreds of millions were dead and the Soviet Union finally collapsed in 1991. And “keep the Russians out” they did! They did it so well, in fact, that after the collapse of the Soviet Union, NATO not only continued to function but actually expanded creating an ever-tightening ring around the new democratic and capitalist Russian Federation. 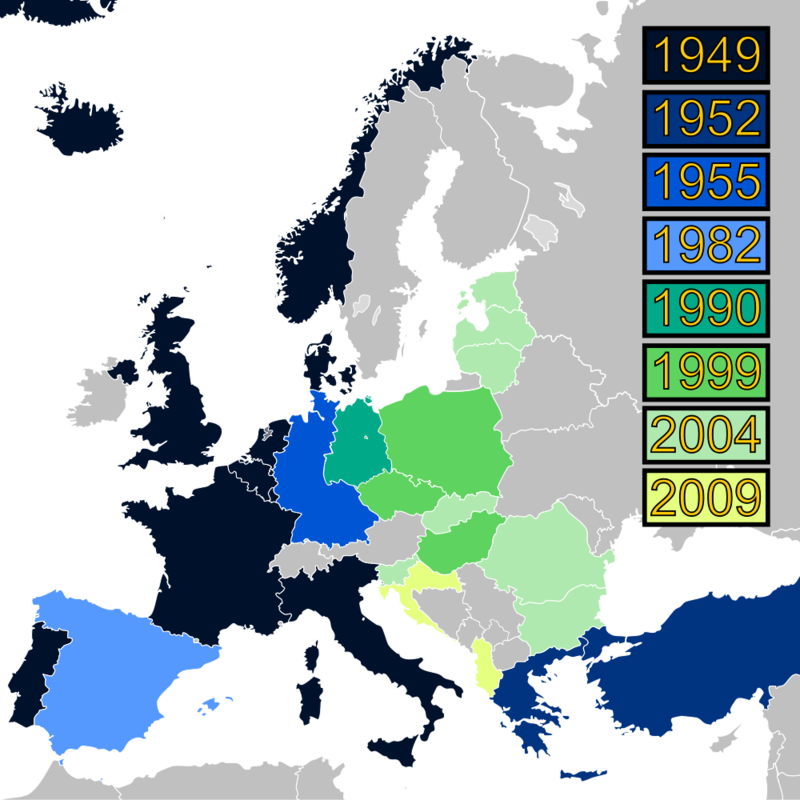 Policies hostile to Russia were also adopted by the European Union. Together, the two organizations have erected an iron curtain choking off Russia from the West. It was the pretext of brining in yet another former Soviet satellite right on Russia’s doorstep, attacking her access to the Black Sea and threatening vital lines of gas and oil that facilitated a civil war in Ukraine. Imagine if a civil war were manufactured in Mexico and Russian security and intelligence personnel were in every part of it—as the FBI and CIA are in Ukraine. 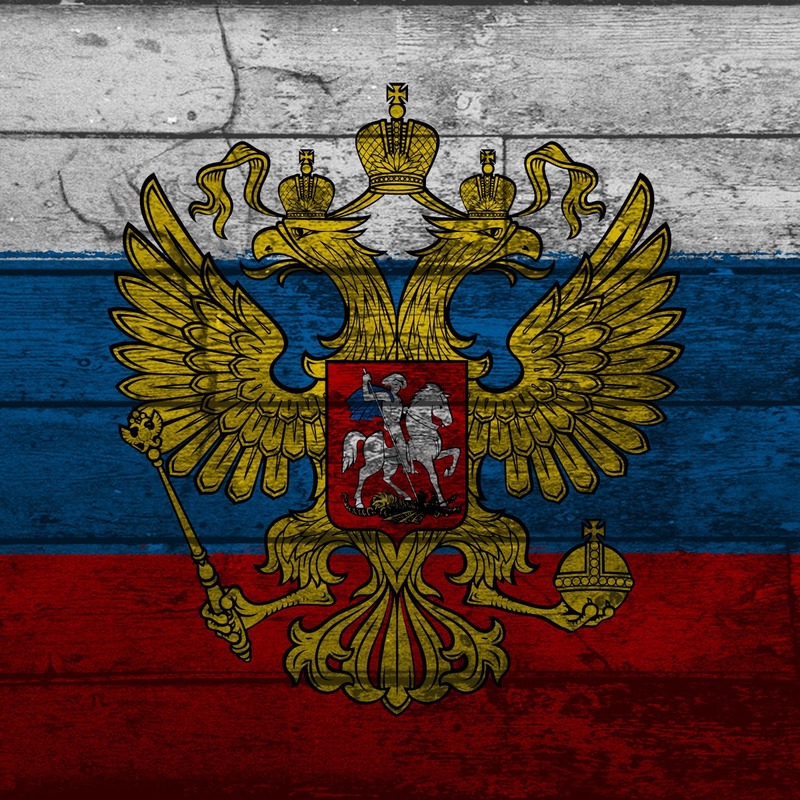 After the fall of the Soviet Union, Russia was again free to return to her Christian roots—values that so threatened the Western Elite when combined with a hard-working, hearty people and plenty of resources. 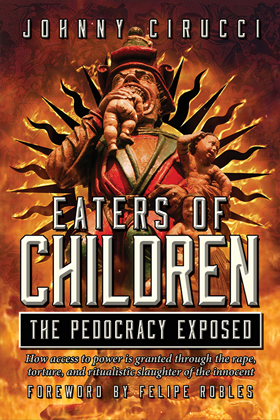 Soon, Russia began to assert herself against the “New World Order” and its agenda of depravity and perversion designed to break the will of the common family. A bill in the Russian legislature pushed to keep pedophilia from being recognized as a “sexual orientation”. A law signed by President Putin forbade homosexual propaganda to be foisted upon minors. Despite the wailing of the decadent West it had huge support amongst moral Russians. Moves are being made now to protect Russians from genetically-modified food. As churches are replaced with mosques everywhere in Europe, Russia is now building the tallest statue of Jesus Christ in the region; an astounding 33 feet, on for each year of the Christian Messiah’s earthly life. Fundamentalist Islam has become a plague around the world, courted by Western Elites and Intelligence Agencies, to be used as a tool of chaos to topple governments and massively increase restrictions on civil liberties. In Russia, the building of mosques has been curtailed and President Vladimir Vladimirovich Putin has vowed to be the desperately-needed protector of world Christendom. For, everything BAD that has happened to Russia in the last two centuries has come from the West – as an apparent revenge for Catherine the Great’s support of the American revolutionaries. Thus, the Russian Czars attracted the wrath of the British royalty and the London bankers who bemoaned the loss of a rich colony (America – now regained under the auspices of the NWO). During the first half of the 1990s, for example, China received $118 billion in investments from the Western multinationals. At the same time, Russia got only $2.7 billion, according to the United Nations statistics. Such a vast discrepancy in treatment of the two countries by the “international community” appears to be part of a deliberate anti-Russian policy by the NWO architects. The policy has three prongs. 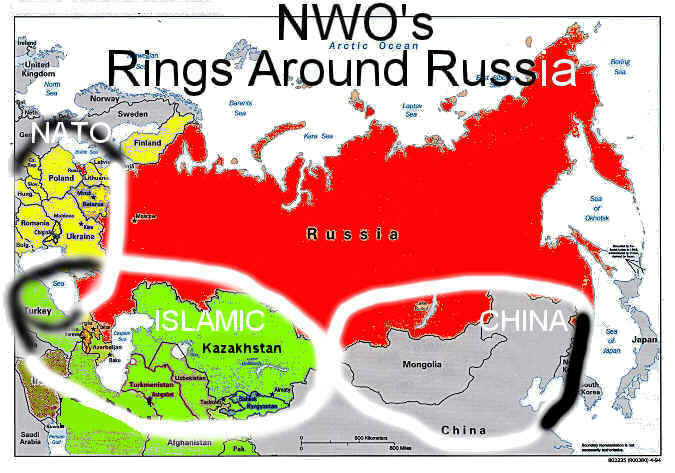 On Russia’s western frontier, the NWO is trying to build an iron-ring around Russia’s European neck through the NATO expansion. The idea is modeled after the age-old “Drang Nach Osten” (“Push Toward the East”) German ambitions, and is perfidiously disguised under a “Partnership for Peace” label. At the same time, the NWO architects had counted on China to act as their proxy keeping Russia in check on her eastern frontier as the second prong of their anti-Russian policy. Which is why China got the Western money and the MFN (Most Favored Nation) status, despite its extensive human rights abuses, and its increasingly strident anti-American stance. In a sick twist of evil, Adolph Alois Hitler has been resurrected to finish what he started. When the Elite want to install a real butcher, they insure he is not from the land they are subjugating. Napoleon Bonaparte was born in Corsica, not France. Adolph Hitler was Austrian, not German. Joseph Stalin was Georgian, not Russian. Stalin was an excellent choice. His actions starved some 7,000,000 Ukrainians to death during the 1930s but there was too much commonality between the two peoples. 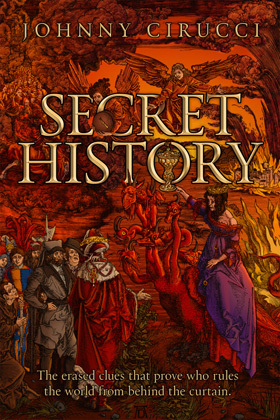 Kievan Rus’ was the birthplace of both nations and when Hitler invaded, the majority of Ukraine joined their Russian brothers to fight the fight. 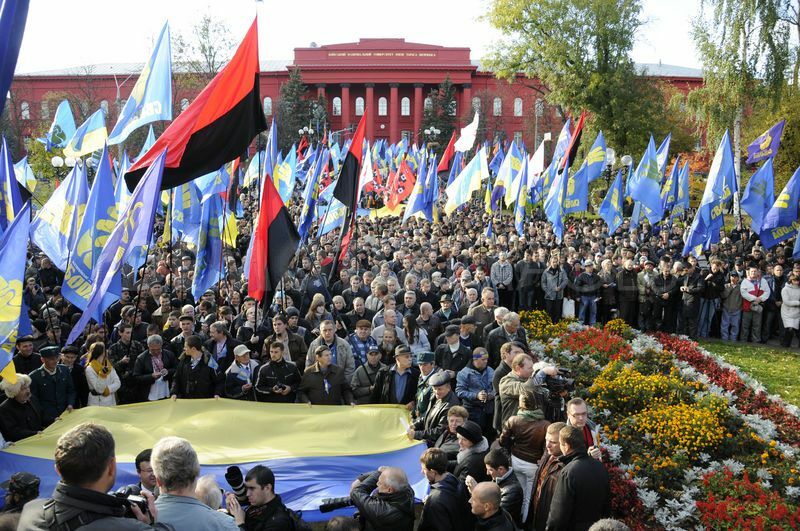 It is these fascists and neo-Nazis that the West has inflamed to cause unbelievable bloodshed in Ukraine. In Odessa, pro-Russian Ukrainians were raped, strangled, shot in the head and burned alive in brutality that would make Heinrich Himmler proud. How The Thugs Killed Odessa Inhabitants In The Trade Unions House – The Details Of Bloody Scenario. Later, in Mariupol, the Ukrainian National Guard used heavy weapons on armored personnel carriers to cause death and destruction. These atrocities have gone unreported by corporate Western media. Amazing reporting has risen to the task by outlets like VICE News. It is in this climate of mindless hatred that one of Ukraine’s Ruling Elite, former two-time Prime Minister Yulia Tymoshenko made the shocking pronouncement in a phone conversation later leaked to the media that all of the Russians in Ukraine “must be killed with nuclear weapons”. In continued reckless efforts to slight and isolate Russia, she just might have her way—and many innocent Ukrainians will pay the price in the process. Ukraine’s nuclear power has been safe and stable since that fateful day in 1986, but the current instability fed by the West and placed in the hands of rabid radicals may change that in the near future. Independent journalist Nick Olson first brought this to my attention as he investigated Western interests seeking to capitalize on Ukraine’s new divide with Russia. Following in the footsteps of traitorous mega-corporations before her, Westinghouse has stepped in to provide Ukrainians with nuclear fuel that is dangerously incompatible with Russian reactors. It has nearly caused an incident already. Westinghouse has quite happily capitalized off of the new Cold War and was quick to deny culpability for dangerous incidents in both the Czech Republic and Ukraine. Last week Westinghouse’s Regional Vice President for Strategy and External Relations Mike Kirst said in an interview to Nuclear Intelligence Weekly that the damage done to the assemblies is not the company’s responsibility. He said Ukrainian operators had probably taken unnecessary risks in choosing locations for the Western-made assemblies, which are used in the reactor alongside those manufactured in Russia. Corporate Western media is touting this as a valiant effort by Ukraine to free herself of iron-fisted Russian dependency but it is shaping up to be a deadly gambit of unnecessary risk. Russian experts are greatly concerned that, engineering issues aside, the security of Ukrainian facilities can not be assured. …given the tense political situation in Ukraine, safety of nuclear power plants in the country causes serious concern among experts. There are also anxieties about Kiev’s choice of the American company Westinghouse to supply nuclear fuel. Nevertheless, as became known in early April, the Ukrainian state company Energoatom and Westinghouse Electric Sweden (the Swedish branch of the Westinghouse company) agreed to extend the contract to 2020 to supply nuclear fuel. Are Western Elites desperate enough to beat down Christian Russia and insure decades more needless bloodshed just to further their own demonic designs? Their past track record tells you all you need to know.